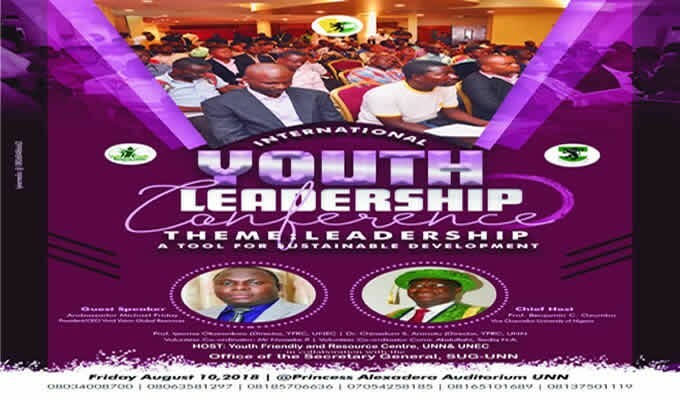 Venue : Princess Alexandra Auditorium, University of Nigeria, Nsukka. The conference is titled: “Leadership: A tool for Sustainable Development”. The 2018 conference will address topics on personal leadership, leadership in business and leadership in politics etc. The conference will also attract 2000 Nigerian youths across other institutions in Nigeria. We look forward to seeing you on that day. The participation of free.